Security Police (SB) file on myself from 1968-1975. My Filofax organiser that the story opposite talks about. 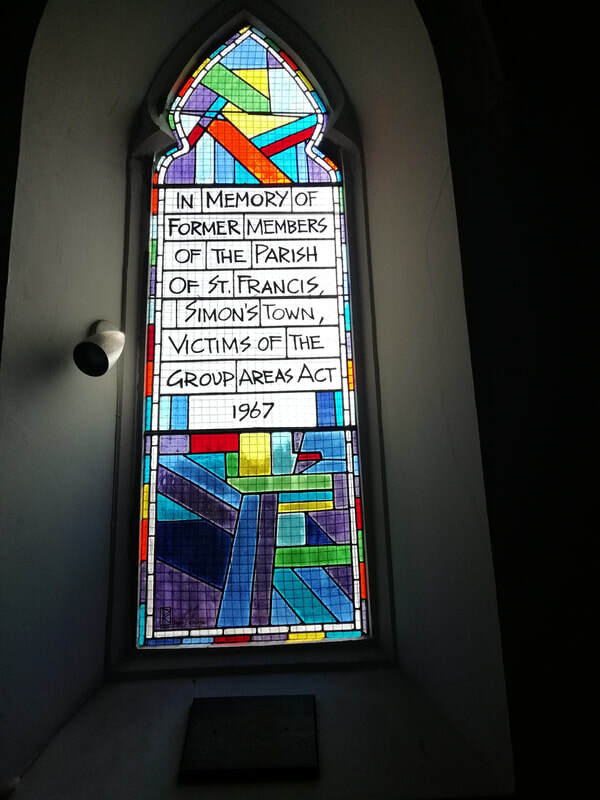 In Newsletter 37 I dealt with Restitution and that the 2018 Conference on the subject would lead to a Charter that is open to discussion. Here it is, titled 'A complex Hope'. Herewith my latest offering. I hope it adds depth and dimension to the quest for egalité and real democracy. This Newsletter can be viewed on my website (no charges or passwords required). www.horstkleinschmidt.co.za. 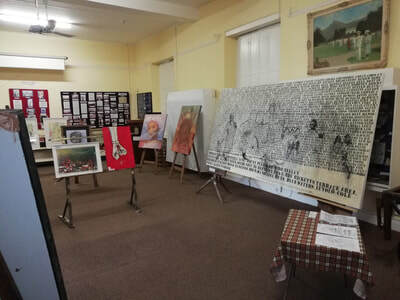 Images too large to include here, can also be viewed on the website. My best wishes for the festive season and the coming year! 1. New noon-gun to be heard over Johannesburg, unfinished business and recalling my jailers. 2. Where we live: St James, Simonstown, Ocean View and Masiphumelele. 3. Bombs on Yemen manufactured near us. 4. Autumn leaves falling; the passing of Rev Chris Wessels, Paddy Kearney, Mendi Msimang and Alex Boraine. 5. ‘The making of a dissident Afrikaner’, Ruhan Fourie on Beyers Naudé (Huffington Post). 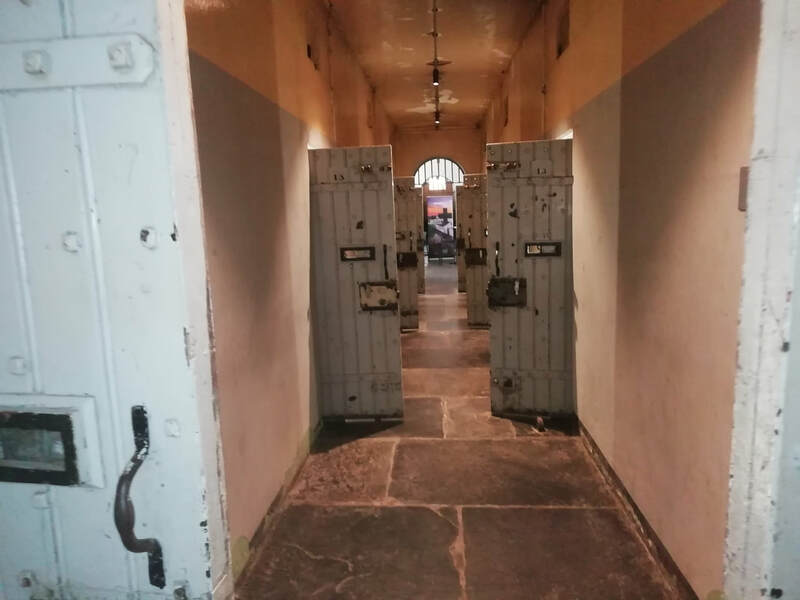 The Fort Prison - memories, reminders, never again. 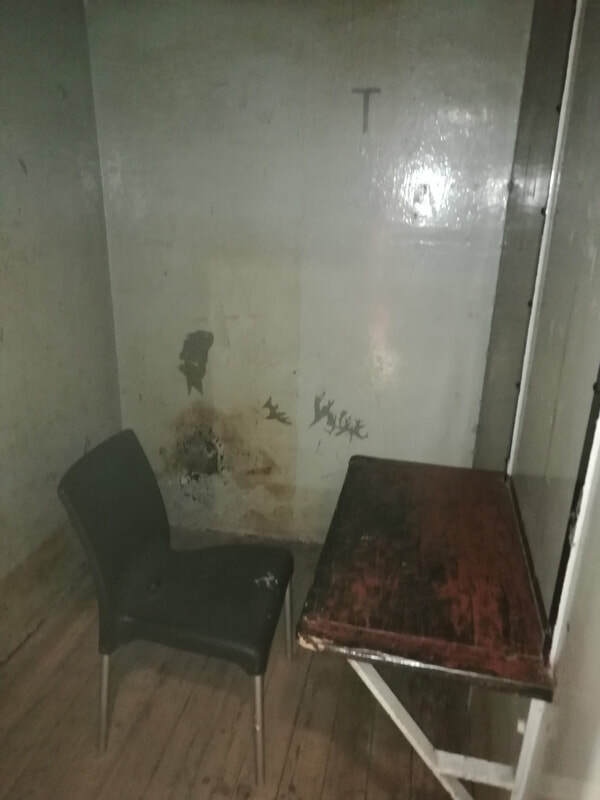 Prison cells at The Fort Prison, Hospital Hill, Johannesburg. 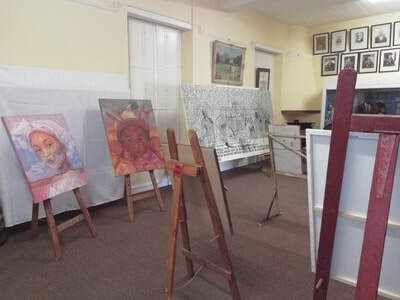 At different times Nelson Mandela, Robert Sobukwe, Joe Slovo, Baruch Hirson, and in the early 1980's Cedric Mayson, Rob Adam, Alan Fine and others were held here. 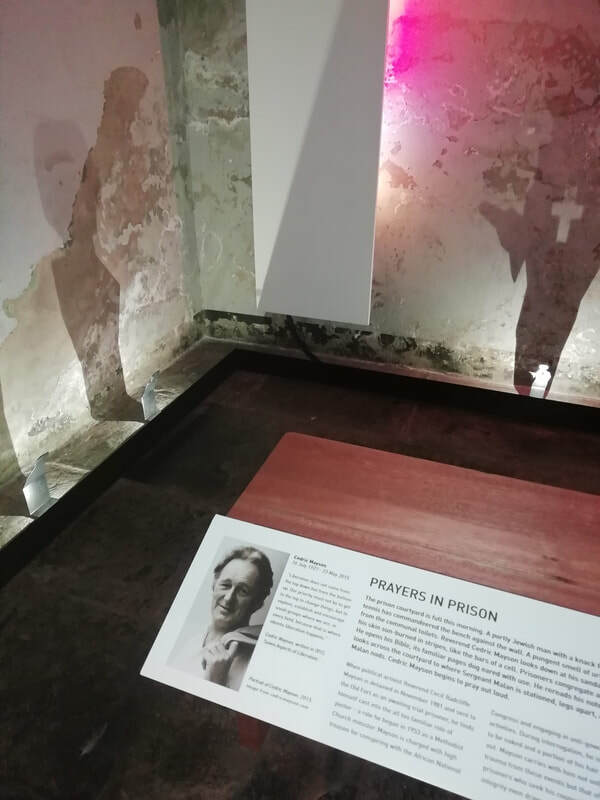 The cells are now part of the museum. 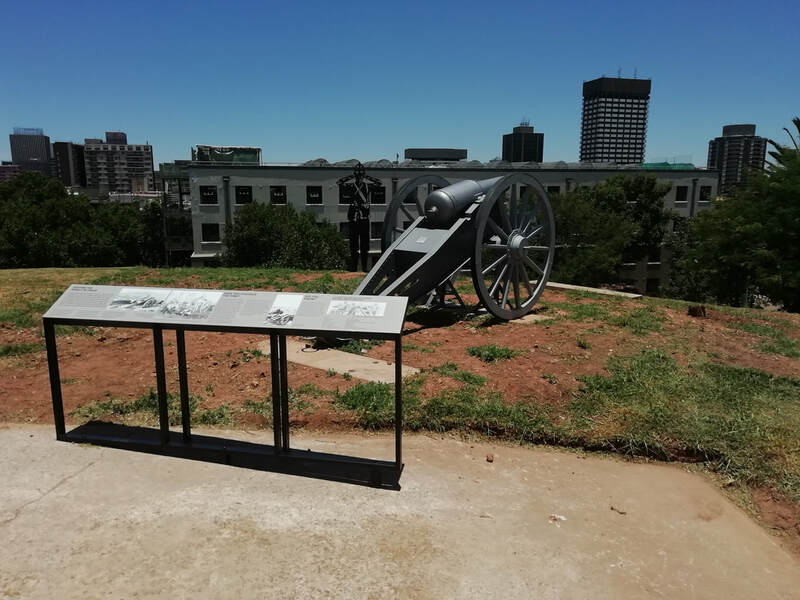 The noon gun that will sound over Johannesburg each day to remind all that the struggle for democracy was hard won. Once Cedric was an awaiting trial prisoner he was allowed to conduct services that other prisoners were allowed to attend. 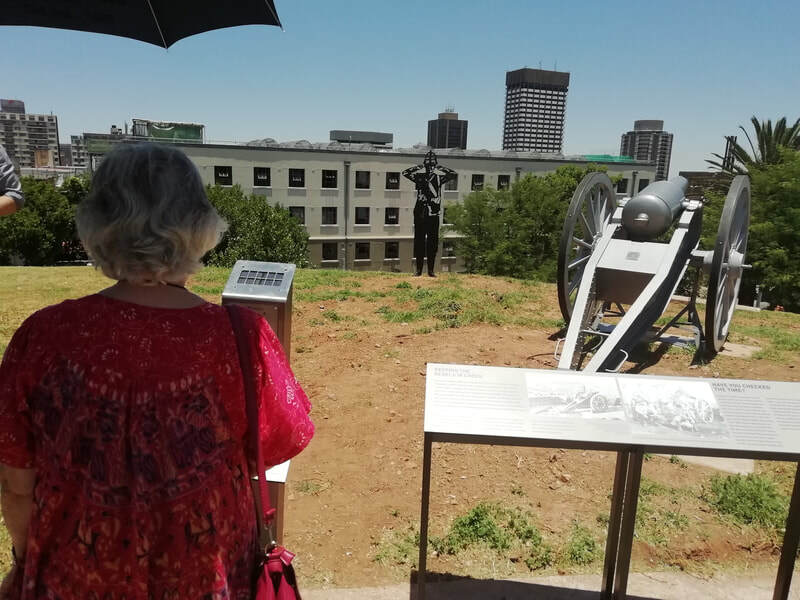 Penelope Mayson pressing the trigger that shot the first commemorative volley over Johannesburg on 5.12.2018. Dr. Rob Adam who shared some prison life with Cedric. On 5 December 2018 he told us of their plan to escape. 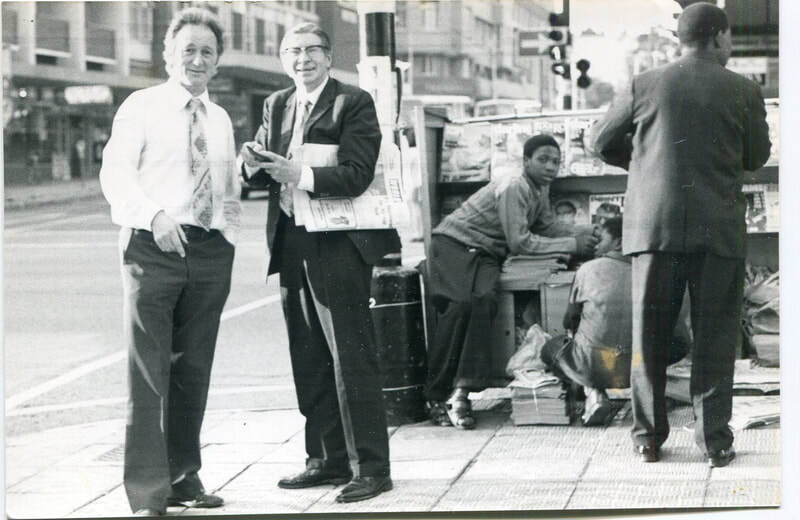 Cedric Mayson and Beyers Naudé, somewhere in Johannesburg, before either were restricted with banning orders. 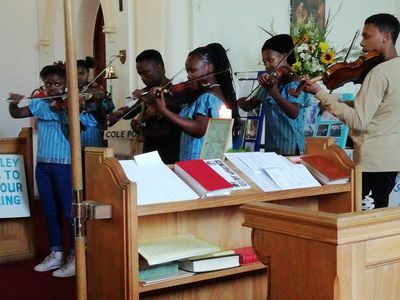 With other speakers and musical contributions I addressed the 50 year remembrance in St Francis Church. My appeal was to the current Simonstown residents to mark the forced evictions in a way that is akin to Stolpersteine in Germany. HK appeal in 2018 to the residents of Simonstown. Artist Lionel Davies and former Robben Island prisoner at the service, with Lucille Luckoff. 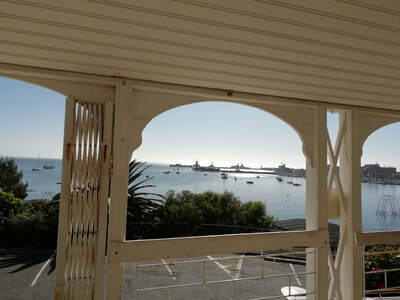 From the stoep of Simonstown Museum view of the naval harbour. 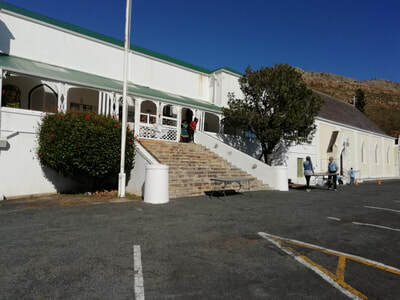 Simonstown Museum other than naval and colonial history commemorates the 196o's and 1970's removals. 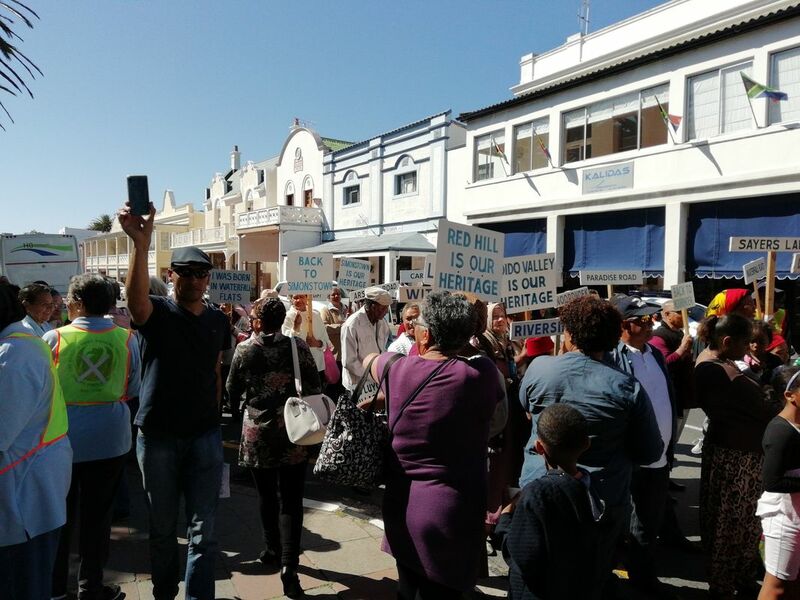 My Newsletter 37 (September 2018 pdf file below) looks at the delay or resistance to restitution in post apartheid South Africa. Matters promised in the Constitution (Bill of Rights) or raised but not resolved by the TRC remain outstanding. The ruling ANC is to blame for the shrill expropriation without compensation debate that now engulfs us. It is the ANC Government who failed to act despite having the tools it was given in terms of the Constitution. The ANC's mega failure will haunt us for a long time. It now promises to do more. But will it? Has it the capacity to do the job? Will it retain the confidence of its supporters? The ANC's failure has provided the facist-leaning EFF with a platform which in turn, has spawned new far right white racism represented by AfriForum. Both use racial and racist language instead of class as the basis for analyses. 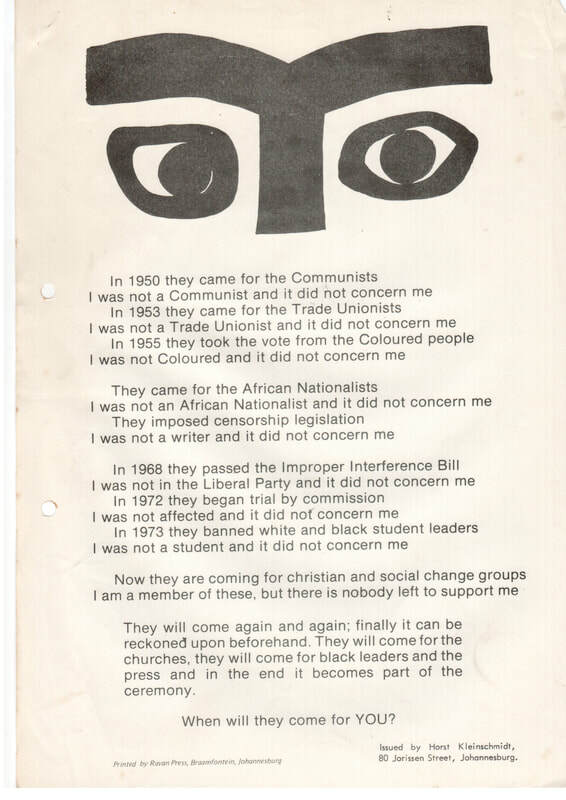 The ANC once espoused non-racialism but has mostly forgotten this base of its policy. The hopeless and disastrous Zuma years are coming home to roost. The judge Zondo enquiry into 'state capture' provide us with shock and disbelief each day a new witness testifies. Zuma, his son Duduzane, the Gupta brothers and a league of crooked politicians and civil servants are not in the dock. Will they eventually be charged? The treasury and State Owned Enterprises coffers they looted will impede getting out of the recession we are now in once more. Real unemployment is probably at around 40%, sixteen million monthly grant recipients cannot expect a reliant or competent service to receive their monthly payments, our financial barons consider it their right to withhold billions in accumulated profits before they invest again (on their terms), our education system is failing terribly (reading with comprehension and math rank us bottom in the world) and the gulf between rich and poor keeps growing without a plan to arrest, let alone reverse our fall into the abyss. Add to this the low-level civil war that erupts each day throughout the country in the form of tyre burning and demonstrations at any number of places. Defeated? No. We need cool heads to talk. The shift of the debate toward the real meaning of restitution must be taken seriously. 2. 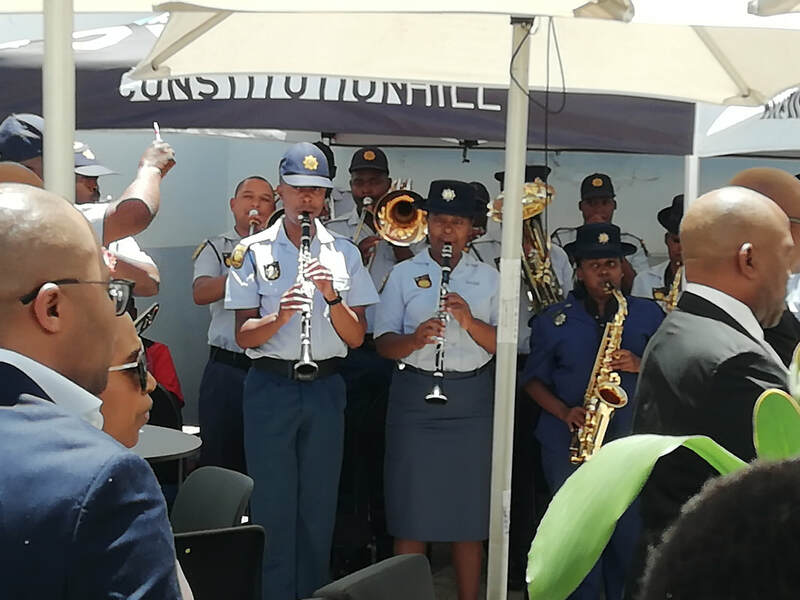 The current Namibia and Germany debate and the failure of, but also pressure on, Germany to say ’sorry’ to the Nama and Herero genocide descendants. 3. 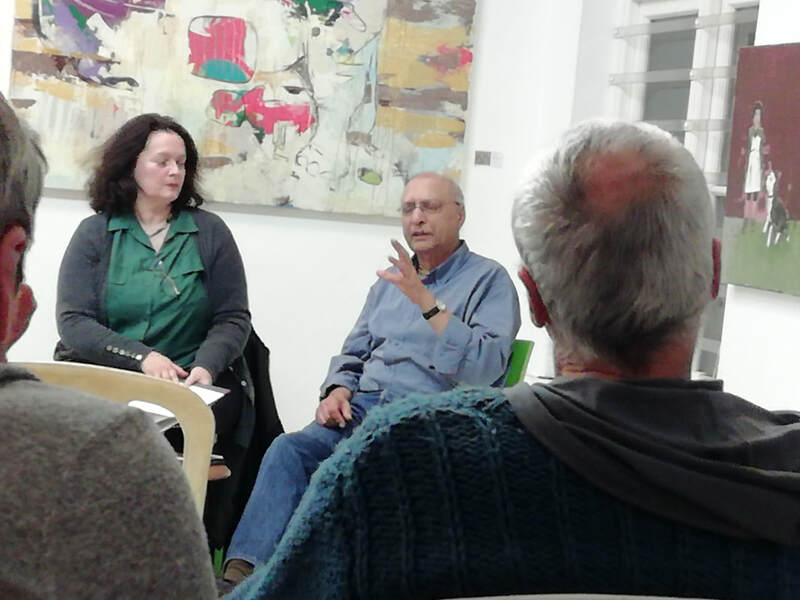 The Achmed Timol initiative and their quest to bring to justice those who perpetrated human rights crimes. 4. The debate on expropriation of land without compensation - a collection of pieces that helps one to navigate understanding of what is being said. 5. Masiphumele and the continued spacial apartheid in our cities. The focus is on urban land and services. Please visit my website for more entries and images, not possible to add in an email. As always I look forward to hearing from you, in agreement or in opposition. 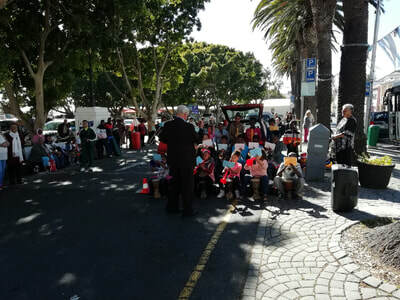 50 years ago 600 families were forcibly evicted from Simonstown because of their 'race'. We shall remember with them this Heritage Day (24 September 2018) their immense loss. The loss of material and social being impacts to this very day those apartheid victimised. 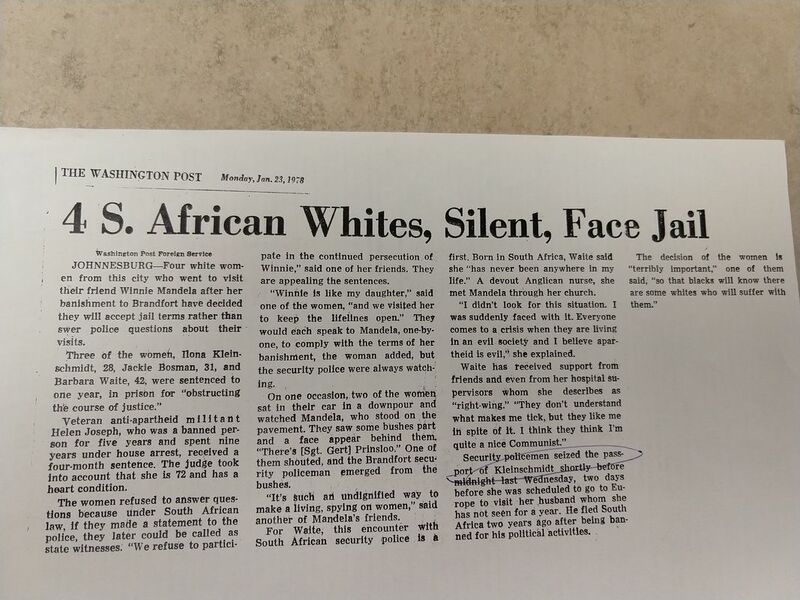 The white community is still ignoring the history they came from. Restitution demands that they stop looking the other way. 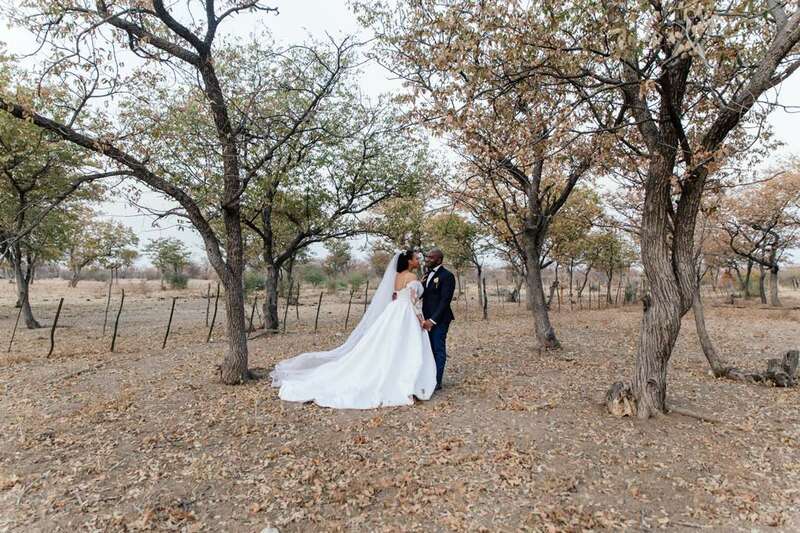 Family wedding in Namibia. Can anyone help putting names to those below, from left to right? 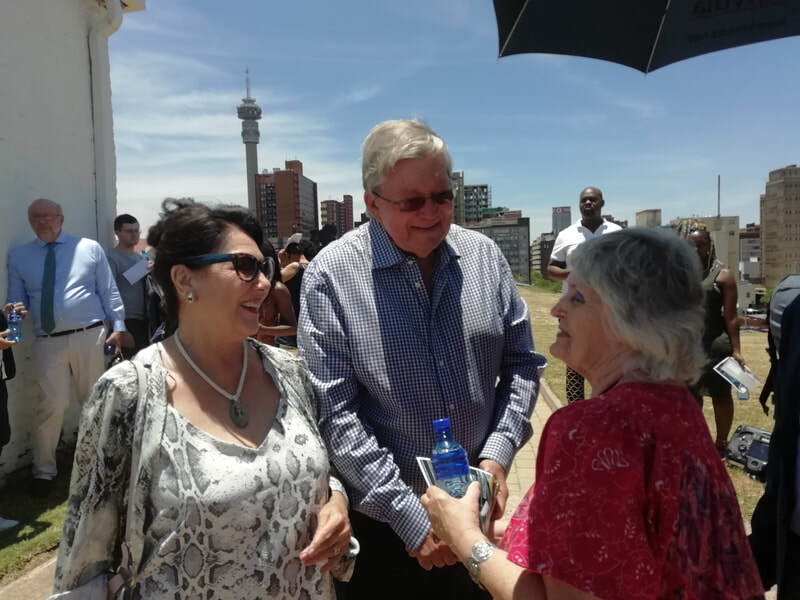 Tshepo Moletsane flanked by Rose Milbank and Horst Kleinschmidt outside the City of Cape Town Sub-Council offices with the poster Where is the Masi Plan? Holding two such posters in silence in silence during the Sub-Council meeting was deemed a demonstration and Rose and Horst were evicted by Law Enforcement officers. Read the full story in Newsletter 37. 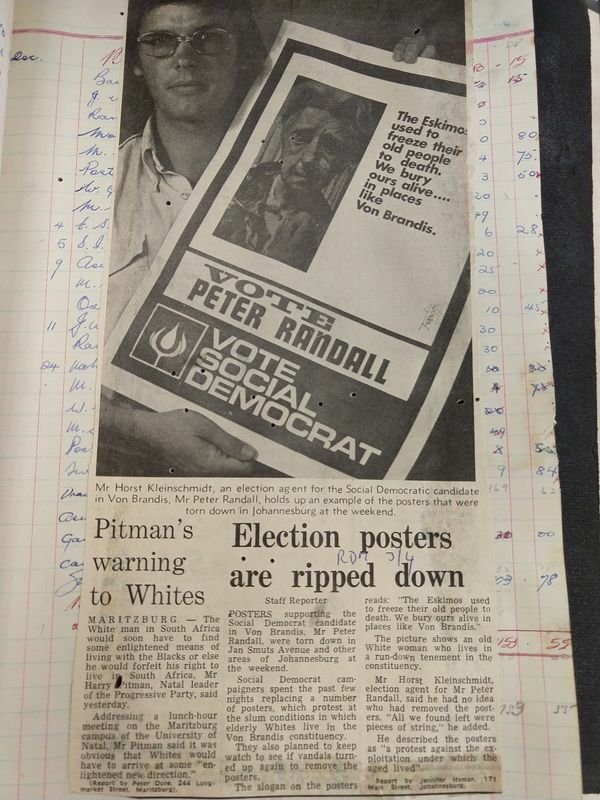 1972: A whites only election in South Africa. We, members of the Christian Institute put up one candidate in the white working-class constituency of Von Brandis in Johannesburg. Our objective: challenge white attitudes. Election rules meant we could state openly what otherwise attracted the attention of the Security Police. We retained our deposit! Many of the pensioners, living here were retired miners, former members of the SA Labour Party. 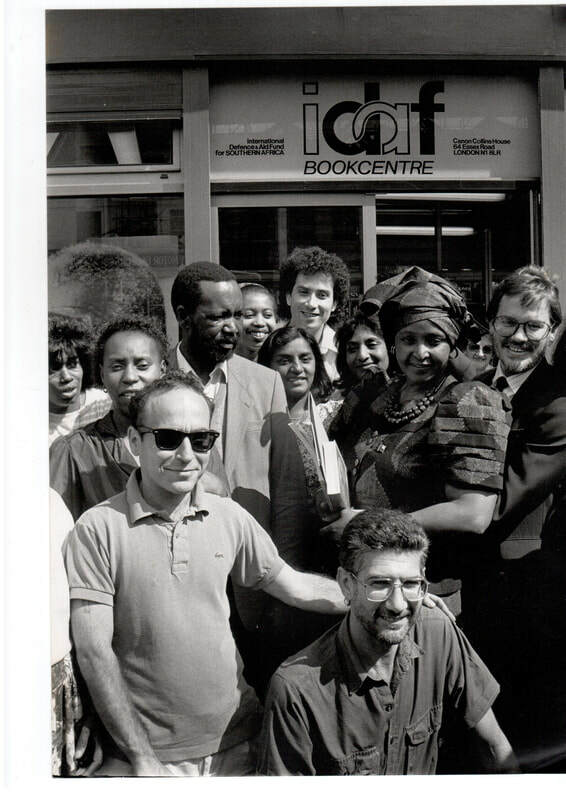 Heady days in 1990, outside the offices of the International Defence and Aid Fund for Southern Africa (IDAF). 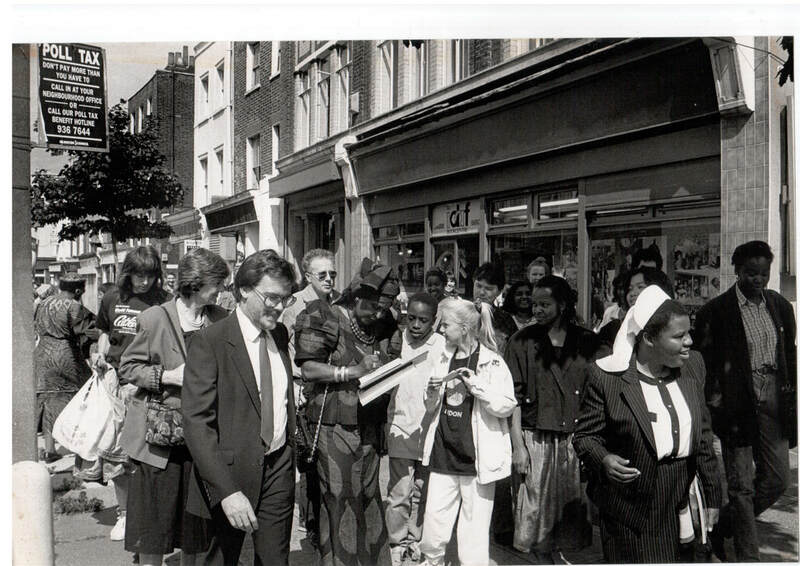 Nelson Mandela was released and with his wife Winnie visited London. 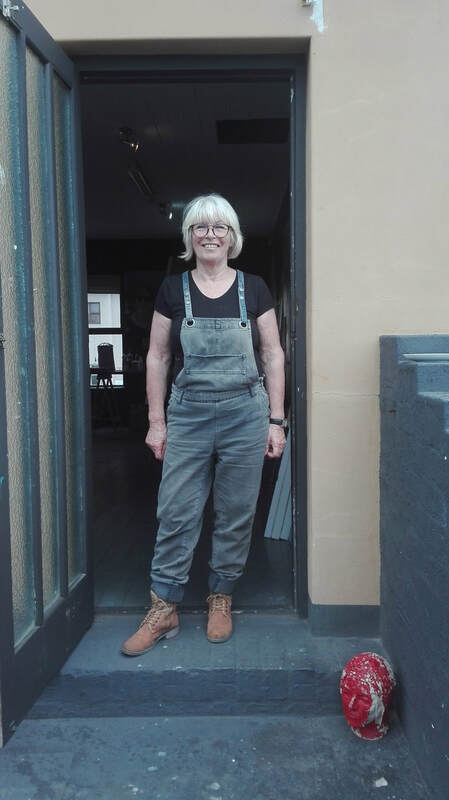 Winnie wanted to visit IDAF because of long-standing support we had provided her through our programme that sent postal orders to those persecuted and those whose spouses were in jail. 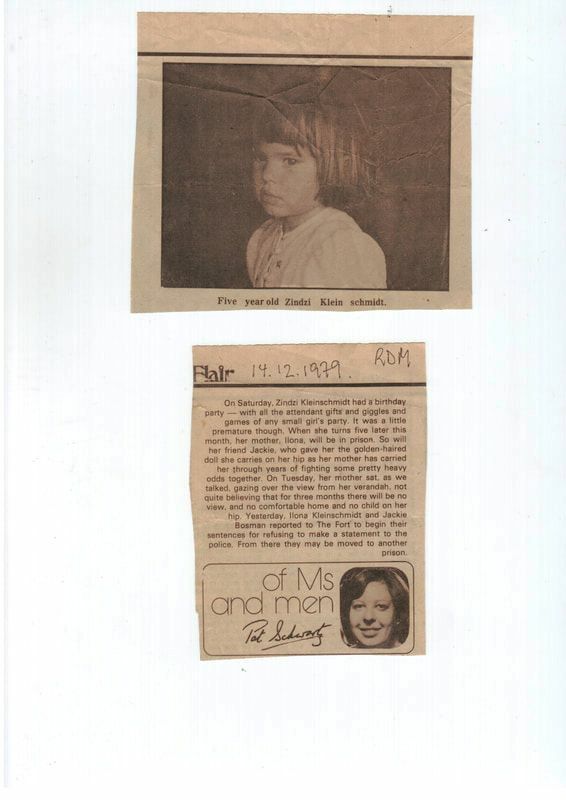 She also wanted to see me who was the legal guardian of her children in 1974 before being exiled in 1976. 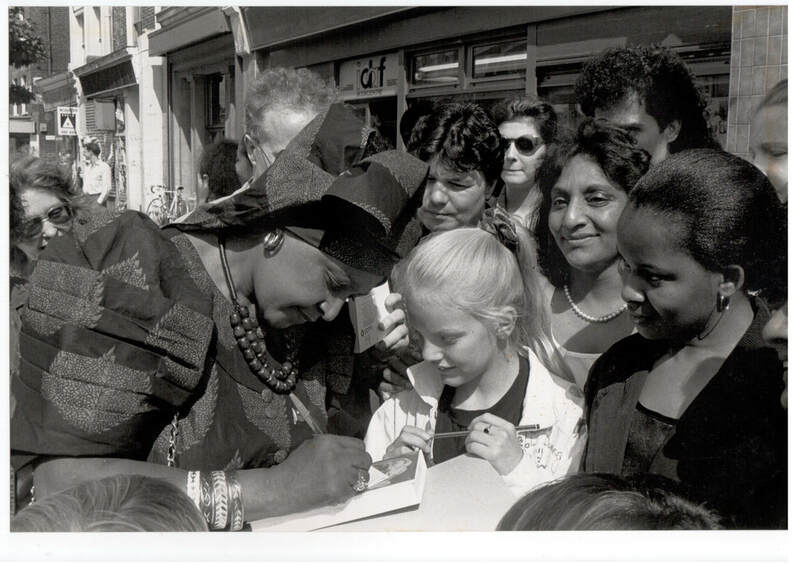 She had named our daughter Zindzi, born in December 1974, shortly after Winnie was released from serving imprisonment for breaking her banning order. A short while later we decided we could not provide funds for the legal costs when Winnie was charged in relation to the 'Stompie' trial. 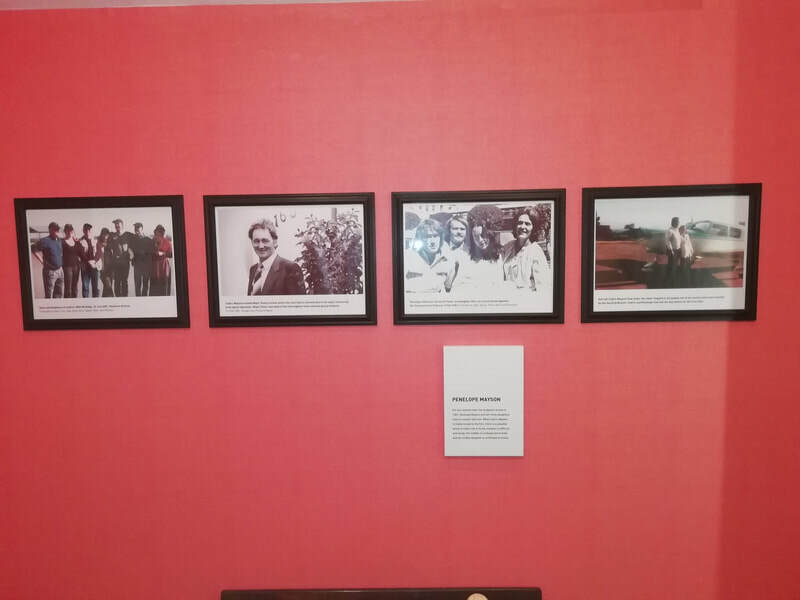 On the far right, Sister Bernard Ncube, prominent resistance fighter. 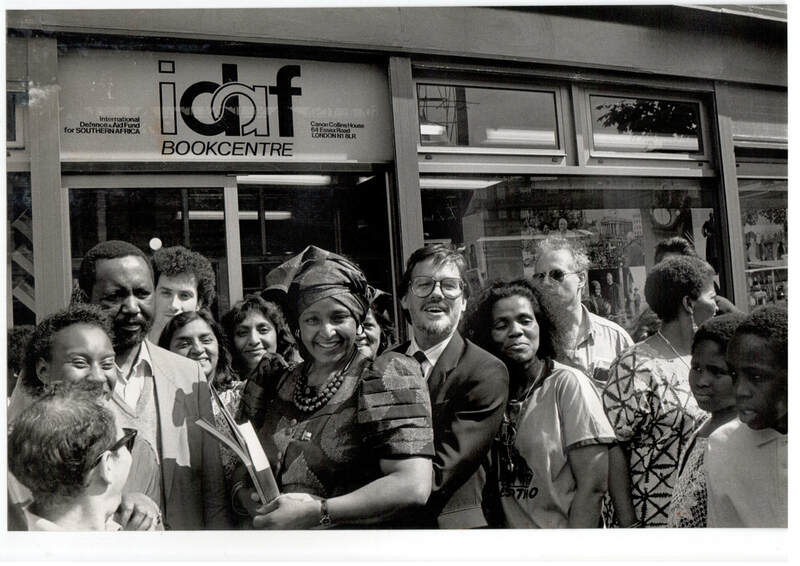 I the middle Winnie Mandela outside the IDAF offices at 64 Essex Road, Islington. To her left, Horst Kleinschmidt, Director of IDAF from 1982 - 1991. 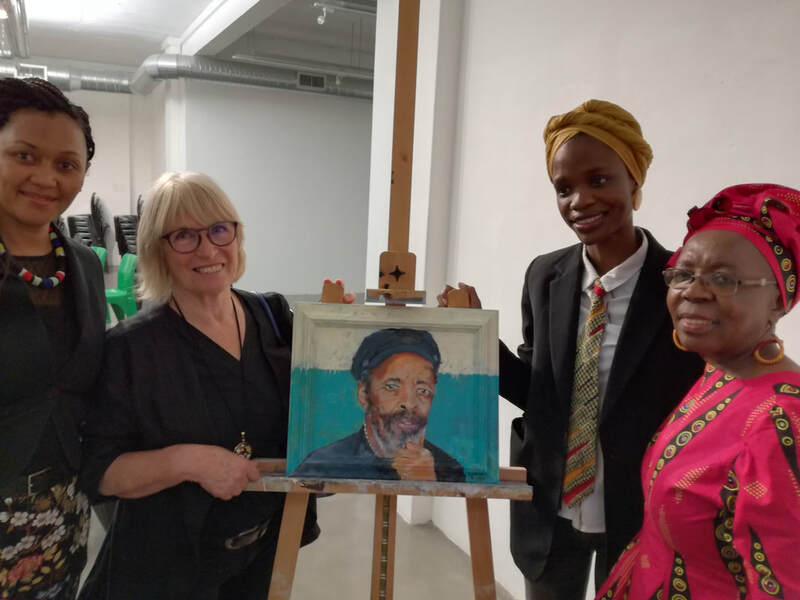 From left to right: Themba Luxomo, IDAF Treasurer, then Harlene Jassat, from the prisoner support section, then Winnie, Horst and Eleanor Khanyile. 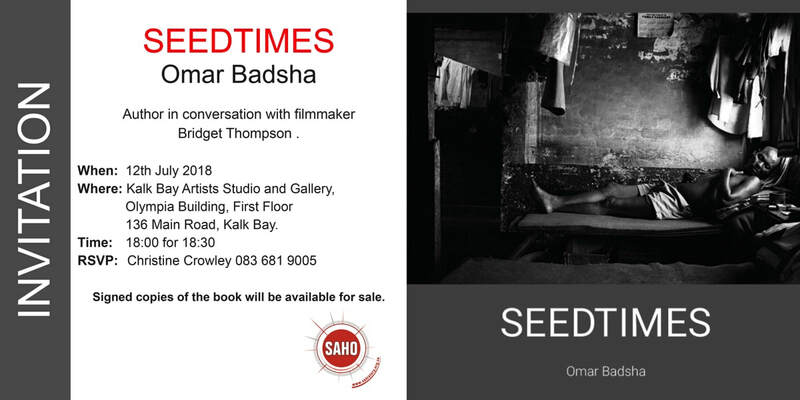 “An attempt at producing an analytical, reflective understanding of an important part in the history of South Africa. Steve Biko and the black consciousness movement have a major bearing on the subsequent events in South Africa up to today” – The words of Barney Pityana, in June 1990 then a director of the World Council of Churches Programme to Combat Racism. Above delegates attended at the Sheraton Hotel in Harare. Amongst those present: Back row, 2nd from left: Lindelwe Mabandla, 3rd Cedric mayson, 5th Wally Serote, 7th Cosmas Desmond, 8th Barney Pityana, 10th David Russell. 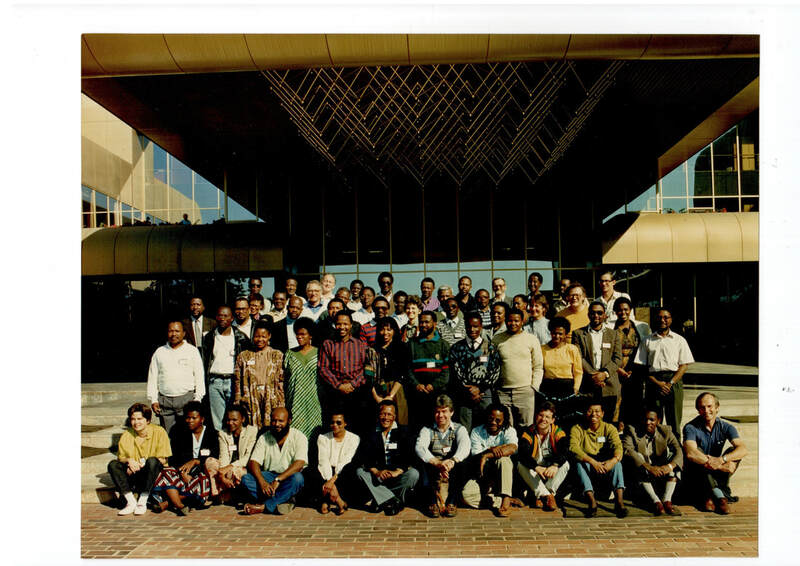 Standing in front of them: In red striped shirt: Sipho Pityana, in beige jersey Saki Macozoma and in yellow shirt Neville Curtis. Front row: 5th Mampela Ramphele and far right Francis Wilson. Who can identify the others? 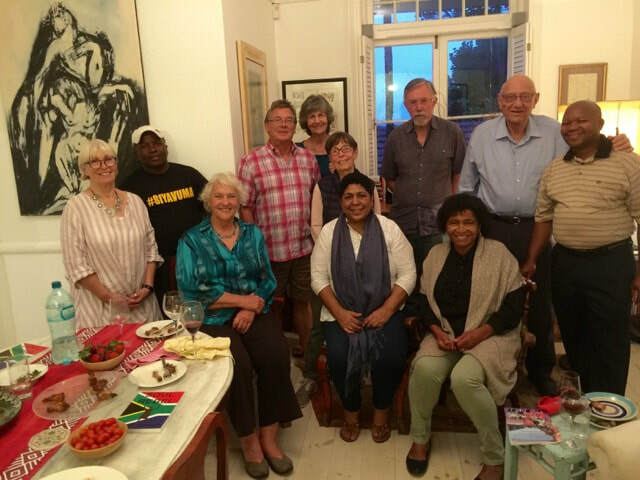 On 16 April 2018 Christine and I hosted Fr Michael Lapsley and his colleague Fatima Swartz at our home. A group of us wanted to know more about the work of the Institute for Healing of Memories. There are many remedies our country is need of and one of them is the trauma discrimination and hatred our past left us with. 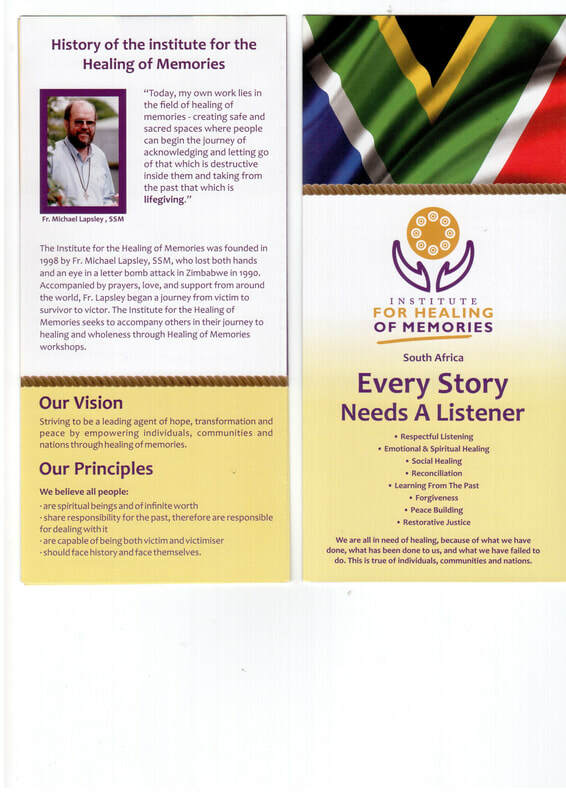 Please visit their website www.healing-memories.org. We encourage you to consider funding the Institute with individual monthly donations, as we now do. Their work must go on! Newsletter 36: After Zuma; the rise of Ramaphosa and the passing of Winnie Mandela. 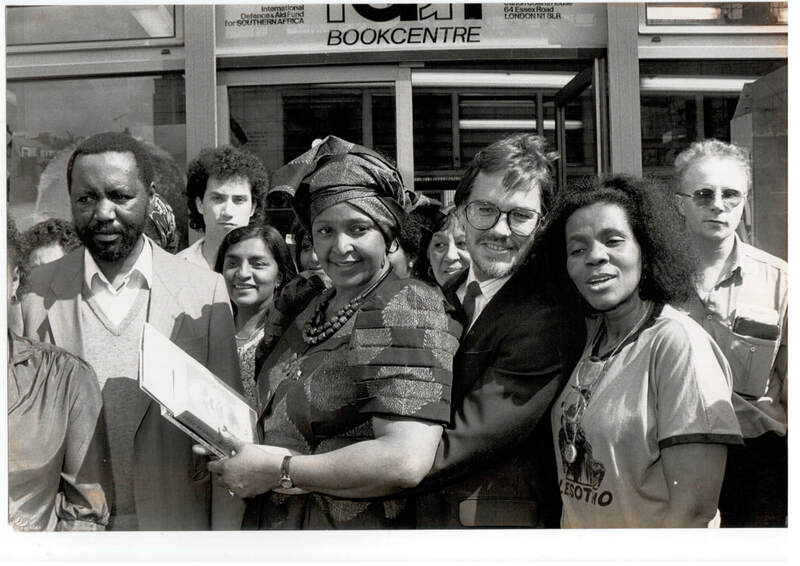 Unpublished images of Winnie Mandela shortly after her unauthorised return to Johannesburg. Here she is in the Fordsburg flat of her then lawyer Ishmael Ayob. On 21 December 1979, our daughter Zindzi was five years old. 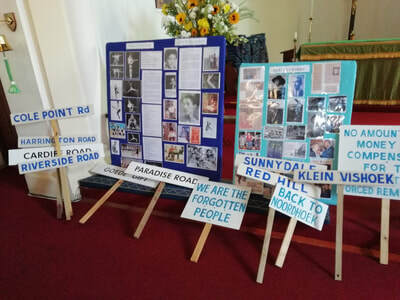 A week earlier, on 13 December, her mother Ilona started a two month prison sentence for refusing to make a statement to the Special Branch about Winnie. 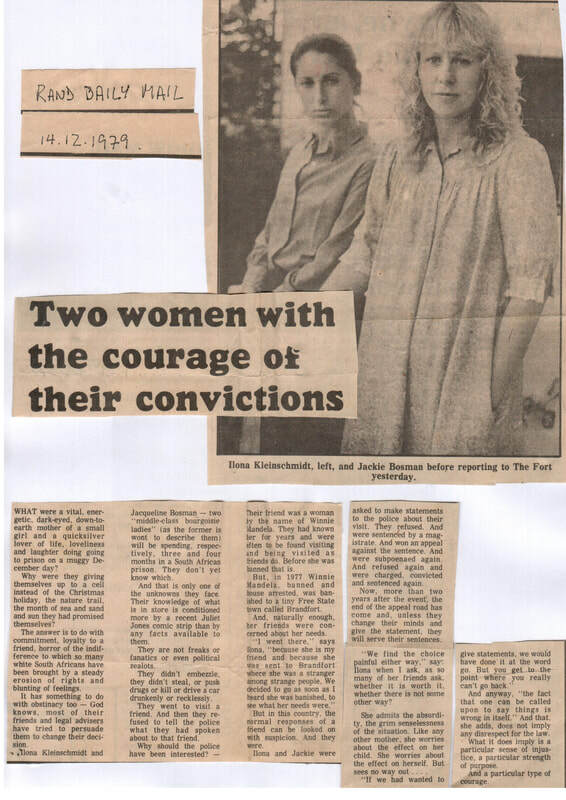 Ilona's closest friend, Jackie Bosman served three months for the same act of defiance. I, as Zindzi's father was in exile since April 1976 and by 1979 deeply involved in ANC work. If I were to return to South Africa, I would stand trial, charged with complicity in the Tokyo Sexwale and 11 others trial, and in the impending trial against Cedric Mayson. I pay tribute to Janie Aronson, Ilona's mother and to Karel Tip, the man Ilona had married, for standing in for the parents my daughter did not have - then and at other times. And I thank Zindzi, named by Winnie Mandela after her own youngest daughter, for her love and forgiveness of her parents, who chose the struggle over the warmth and protection of a home she desired and deserved. 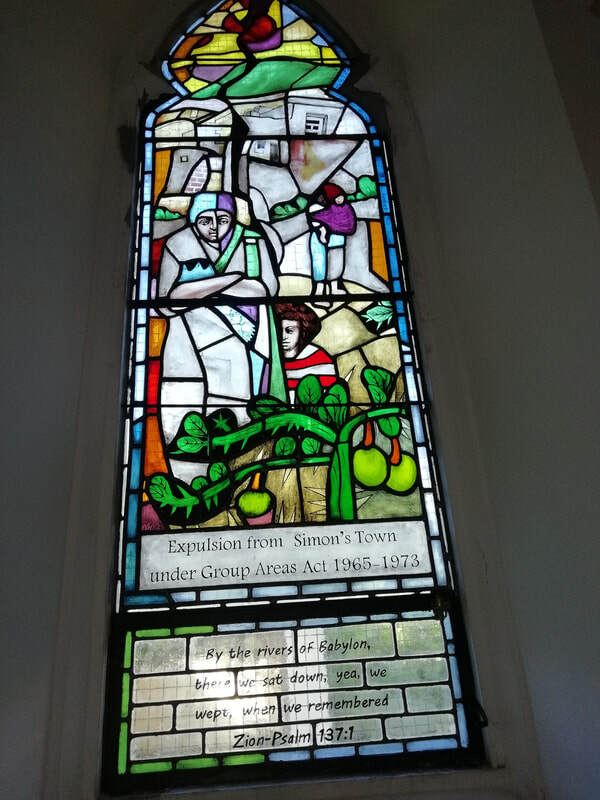 Translating the Bible into Namaqua in 1831. Events and consequences that haunted the Schmelen-Kleinschmidt family for the ensuing century. 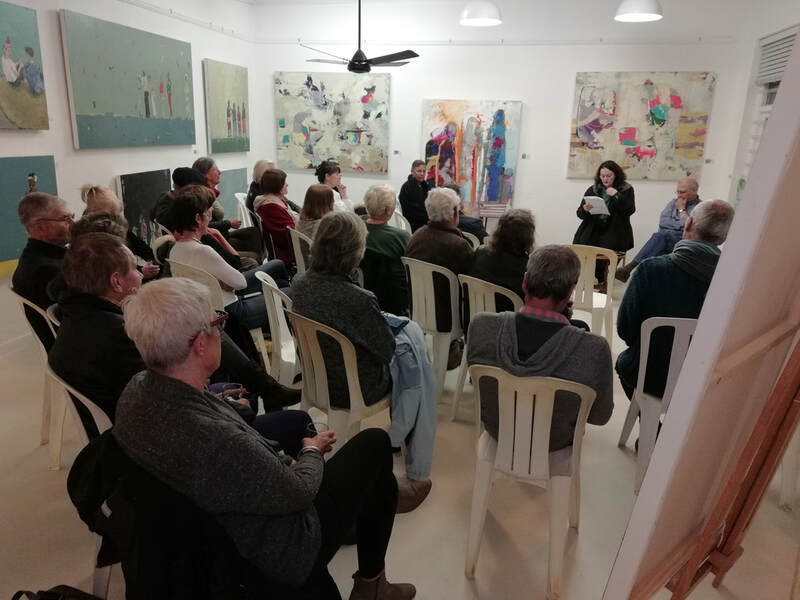 Two talks delivered in March 2018, to audiences in Windhoek and Swakopmund, one in English the other in German (see both talks below). Presentation with pictures to the Scientific Society of Windhoek in March 2018. Listen to and watch this beautiful lullaby in Khoekhoegowab, language of the Nama and Damara speaking communities in Namibia. Here she presents the photo to his daughter (left back) at the memorial poetry reading on 23 February 2018 held for Kgostisile at the University of Cape Town. ​KEETMANSHOOP, 12 JAN (NAMPA) – Chief David Frederick of the !Aman Traditional Authority of Bethanie has died. The Nama clan chief, widely respected by many in the south of Namibia and beyond for his firm leadership and humility, died at the Keetmanshoop State Hospital Friday afternoon. Governor of the //Kharas Region, Lucia Basson, confirmed the passing of Frederick, telling Nampa Friday evening that the chief died at 16h50. Basson, who spent the afternoon at the hospital before and after Frederick’s death, said he was surrounded by many of his family members. “I was with his family at the hospital, his room was full,” she said. Frederick died after a long illness. “He has been sickly since 2014, but he was a strong man, his heart and mind was strong and many times, we forgot that he was unwell,” Basson said. She described Frederick as a unifier and peacemaker. “He just wanted the whole Nama clans to be united and to live in peace. From what I was told, he called all his children and sat with them on Sunday, telling them to remain together and to live in peace with one another,” the governor said. Frederick’s death is a huge loss in many ways, she said, more so as he was a great historian. Frederick often highlighted the plight of the southern people and was vocal about land matters and the genocide. Chief Frederick, alongside OvaHerero Chief Vekuii Rukoro, was a plaintiff in a matter filed in a U.S. court seeking reparations from Germany and demanding the inclusion of the affected communities in official genocide talks. He was 85 years old and leaves behind 17 children and his wife, Anna. I met Chief David Frederick every time I passed Bathanie on my way to Windhoek or Swakopmund. I first visited him some 15 years ago. His Traditional Authority office, a five minute walk from the Schmelen house was where he first sat me down and said: let me give you a history lesson about what happened to my people. I was taken aback by the detail of what I heard and by his incredible recall. It was one of the most impressive encounters I ever had. He told the story of the oppressed and vanquished from the side of those it German might was done to. This was not book knowledge or an outsiders interpretation. He was not angry or emotional. His call for an apology and reparations crisply clear. I asked where I could read about it - from his perspective. He told me a book was in the making. Because, he said, the young generation will not remember everything the way it was. 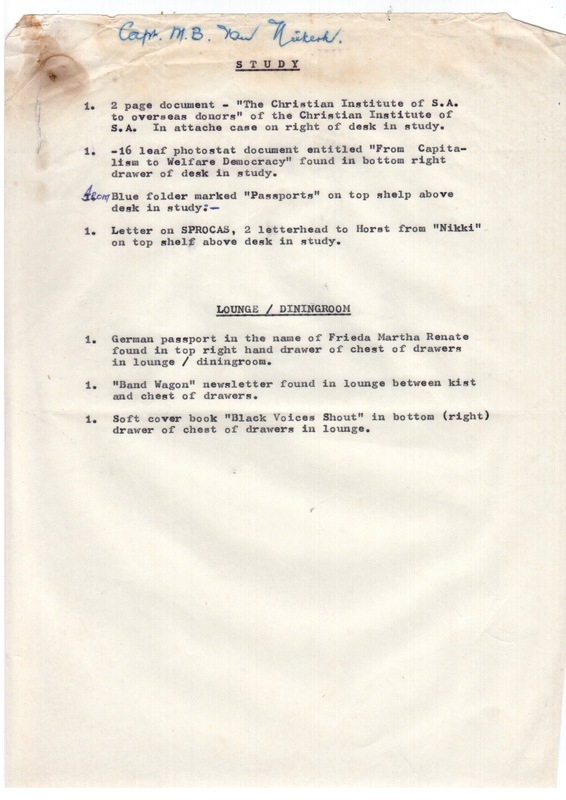 I later read the diaries of members of the Geman Schutztruppe, partly to see if they verified dates, places and battles Chief David mentioned. And yes, his recall was amazingly accurate. The letters by one von Schauroth particularly interested me. He wrote to his father in Berlin, complaining that he never got th promotion he was after. It affords an insight of someone who is unhappy with his officers. In his letters to his father he refers to the Nama opponent as "honourable" on several occasions. Why? He says, because they properly declared war on us. They came by horse with a white flag and a letter to state they were now at war with Germany. And elsewhere he repeats this respect for the Nama. German troops suffered a succession of defeats by the nimble Nama guerilla fighters, von Schauroth expresses great respect ofr their treatment of the German troops they killed. He says, they returned to the place of battle after a victory to bury the fallen Germans. And he adds: And they always ensured the man with the highest rank got the best grave. May he be remembered as a proud man whose quest for justice has yet to be fulfilled. The 2018 Water rises in Cape Town. 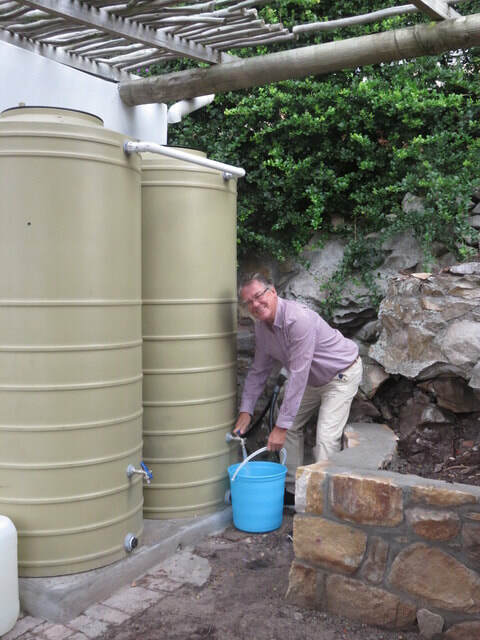 We now have four of these 1000 litre tanks around the house, to harvest every drop of rain from our roof. Each down-pipe from the roof is connected to a tank. We manage all our domestic needs and watering the garden from here. The only time we use municipal water is to shower (2 minutes max) and for cooking purposes. To wash dishes we heat water collected from outside, as can be seen on this picture. It gives me pleasure to send you my latest Newsletter, number 35. 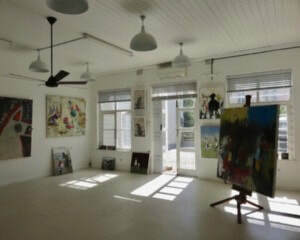 This is also available on my website www.horstkleinschmidt.co.za. There are several items on the cover page of the website not included in the below attachment, the reason being, to keep below attachment to a manageable size. - Views on the newly elected ANC leader. - My contact with Jacob Zuma in exile and thereafter. - The identification of the father of our Khoi ancestor Zara Schmelen on a colonial drawing. - An small effort to improve the access conditions at the Schmelen House in Bethanie. 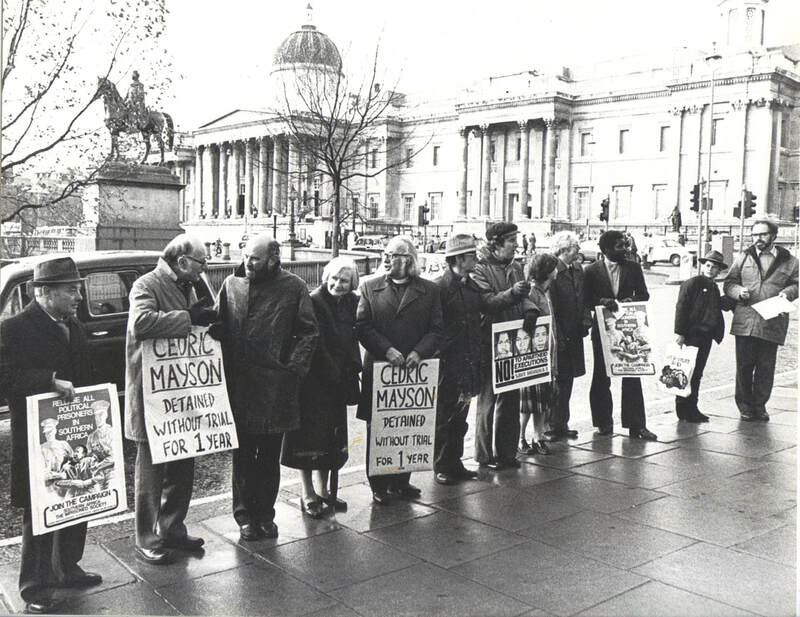 - Bringing closure to a family rift concerning over the sale of the diary of Missionary Kleinschmidt. 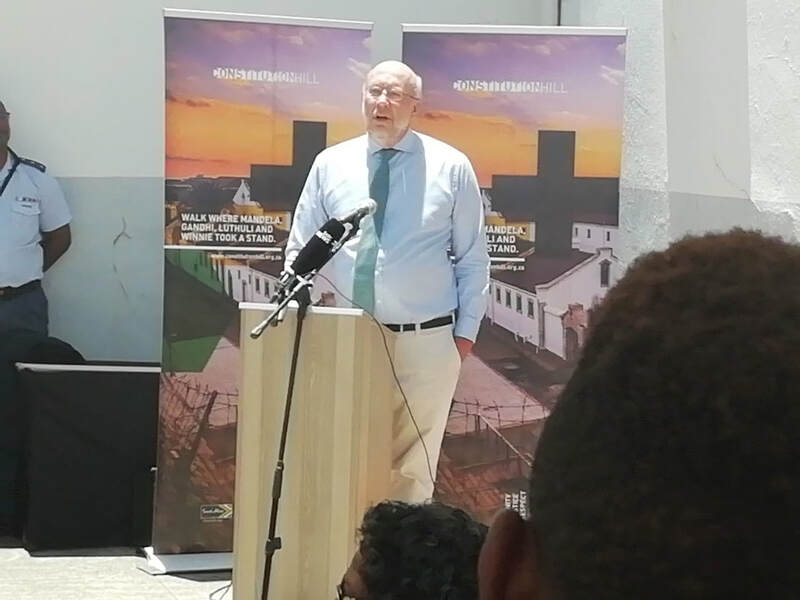 - Eberhard Kleinschmidt in a poem says: The wrong committed against the Nama and Herero people, is a wrong committed against our family. His woe is to the German government. 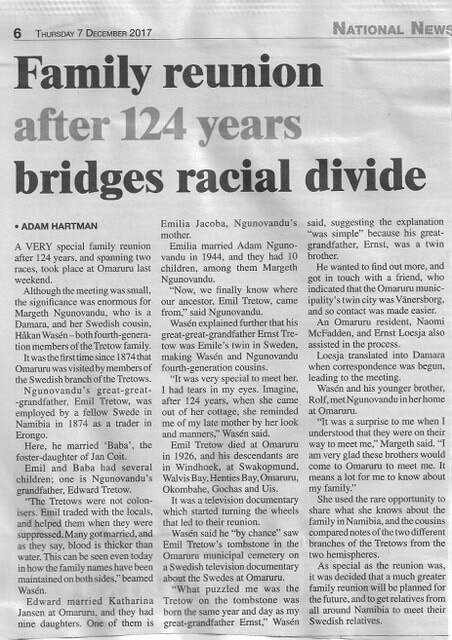 - After 124 years another family bridges the racial divide in Namibia. - ‘Der Stimme der Genade Gehör schenken - Zur Rolle der Rheinischen Missiongesellschaft bei der Errichtung von Konzentrationslagern in Namibia 1905 -1907'. - Hans-Martin Milk. Announcement of a new book. - ‘Between the Worlds. 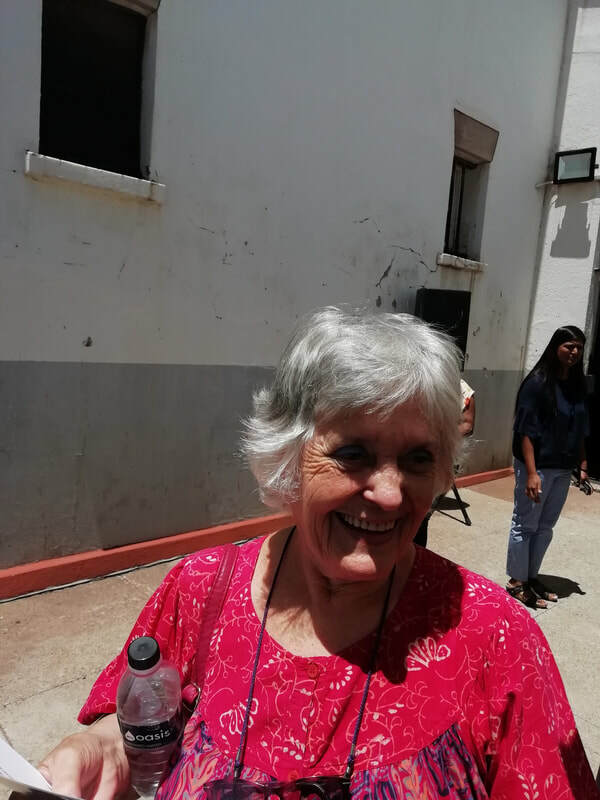 German Missionaries and the Transition from Mission to Bantu Education in South Africa’ - Linda Chisholm. Announcement of a new book. - Photos when scattering the ashes of my sister Heidi in the Namib in November 2017. - Photos of a toast to my mother - she is now commemorated on a gravestone in Swakopmund - November 2017. 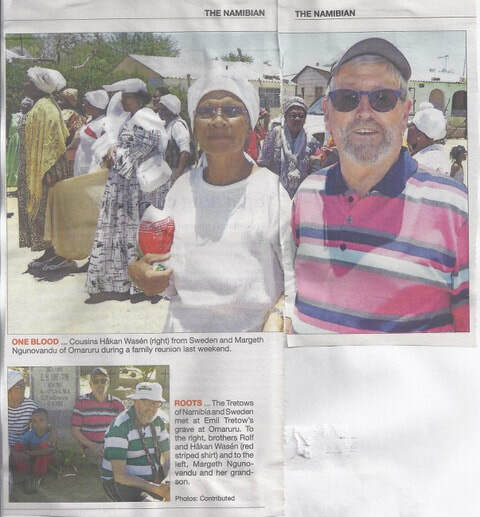 - Photo’s of the trip and visit by cousin Otto and Manda Uirab to Cape Town. As always, please write and engage me in conversation. Errata: I state in my Newsletter that Jacob Zuma entered South Africa as part of the underground operation Vula. I have been corrected. He did not enter South Africa. I am told that otherwise my analyses of that time is correct. Errata: My presentation to Cabinet at Tuinhuis was not in 1995, but in 2005. Above post and the one under Newsletters has been corrected. Friend and fellow activist Ben Khumalo-Seegelken brought this to my attention. 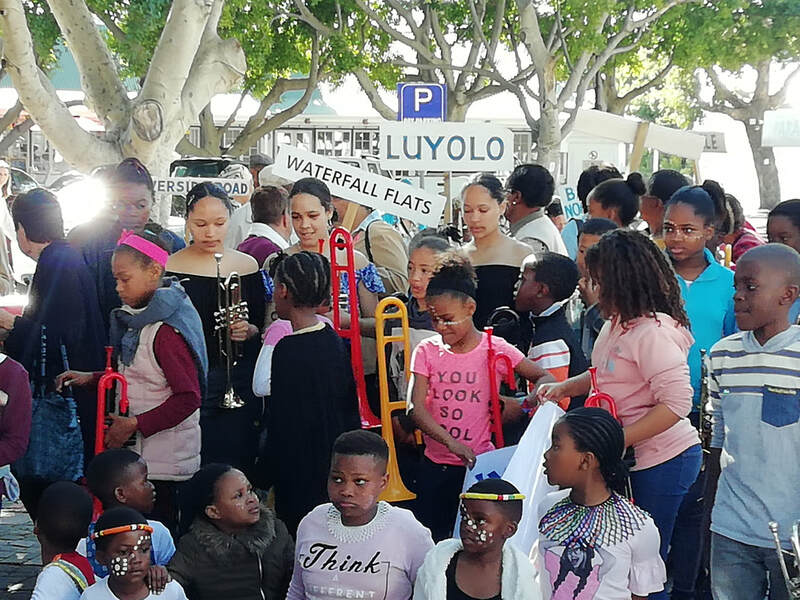 South Africa’s educational history is to this day informed by networks of people and ideas, crossing geographic and racial boundaries. We had a re-launch of Anita Marshall's book at our home in late 2017. It is self published. Its title is Soul Rebel, a moving story of her childhood as a victim of forced removals leading to political engagement and military training. Honesty and courage are one hallmark of her writing. 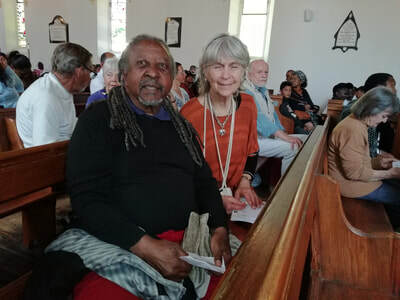 From left to right: Christine Crowley, Nkosi Maswati, Melanie Steyn, HK, Di Oliver, Ruth Gerhard, Anita Marshall (in white top), Pete Smith (his wife Jane was taking the photo, Rachel Williams, Dieter Gerhard and Tshepo Moletsane. René Lescoute reported on in Newsletter 34. A follow-up article. They said my g-g-g grandmother did not exist. List of Enemies of the apartheid state. 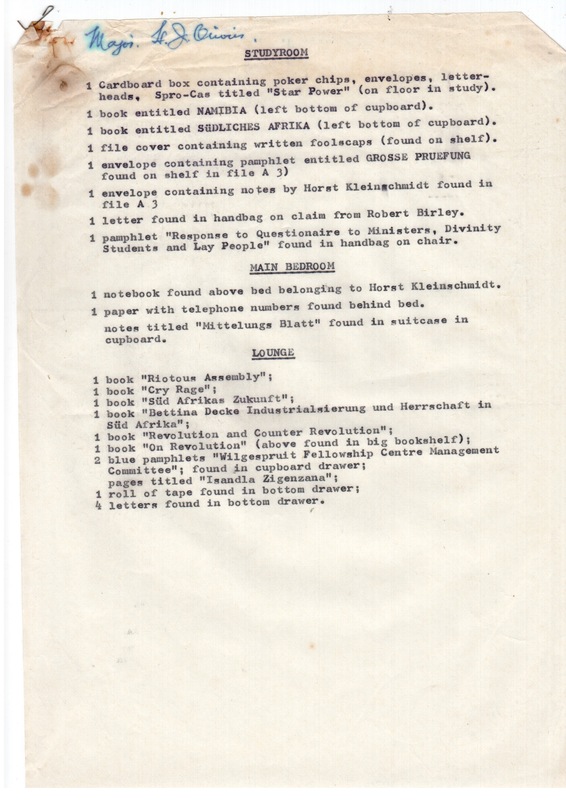 I obtained a copy of my 'security file' compiled by the apartheid Security Police.